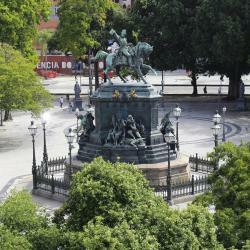 Looking for hotels in Lapa? Offering a sun terrace and views of the city, Selina Rio is located in the trendy Lapa district in Rio de Janeiro, 656 feet from Santa Teresa. The breakfast there was decent. Staff is very helpful and the ones at the front desk spoke good english. There is a street within walking distance with a lot of good bars. A few of the city's famous landmarks are close by. 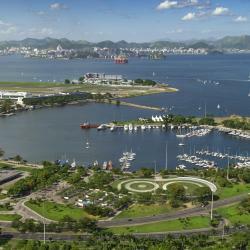 Ideally located in the trendy and touristic Lapa District, where guests will find an array of entertainment options and can enjoy the local nightlife, Days Inn by Wyndham Rio de Janeiro Lapa is 1.2 mi... Everything was great for the most part. Definitely worth the money. Located in Rio de Janeiro, 0.9 mi from Arcos da Lapa - Carioca Acqueduct, Bristol Easy Plus Hotel – Lapa Rio features a restaurant and free WiFi throughout the property. My mother loved the bed. She said it was really comfortable! 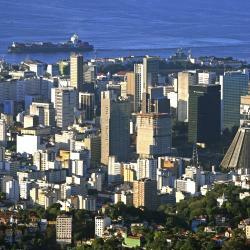 Hotel Atlantico Prime is located in the city center of Rio de Janeiro. The bed was confortable and the room spacious, the breakfast was various also the buffet for dinner and lunch. The staff is very helpful and always smiling. Offering an outdoor pool, Vila Galé is located right in Rio de Janeiro´s city center. The hotel features a complete wellness center and guests can enjoy their on site restaurant and bar. In the Lapa area so convenient at night if a bit crazy! Hotel beautiful with pool and breakfast great selection! Hotel Fênix (Adult Only) features air-conditioned suites with room service, which serves pasta, sandwiches and continental meals. Arosa Rio Hotel offers air-conditioned rooms with free WiFi. 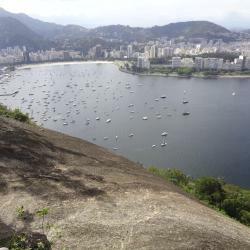 It is located in downtown Rio de Janeiro. A 24-hour room service and shuttle services are available. Room was very clean and comfortable. Excellent value for the money spent. Hotel Cruz de Ouro is set in a historic building, in Rio de Janeiro’s center, 1.2 mi from Santos Dumont Airport. Free WiFi is available throughout the property. You get what you pay for. For the price we paid, we expected a lot worse. Hostel Villa Santana offers private accommodations with TV. 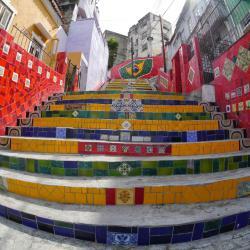 Located in the heart of the bustling neighborhood Lapa, famous for its Samba clubs and less than 1.2 mi from Cinelândia Subway Station. Breakfast is good. 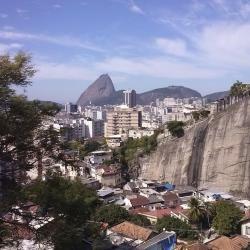 The hostel is close to several famous landmarks in Rio. 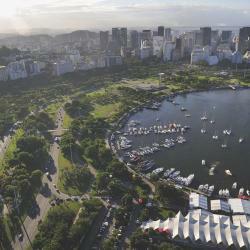 In Rio de Janeiro, 4 miles from Copacabana Beach, the Galícia provides free Wi-Fi and breakfast in the room. 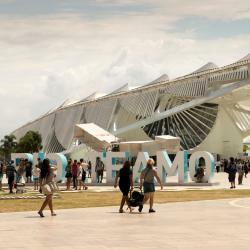 Novo Rio bus station is 3 miles away, and parking is free. 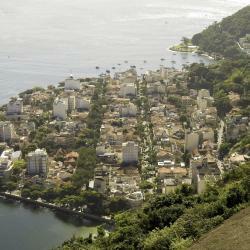 Located in Rio de Janeiro, a 9-minute walk from Selarón Steps, HOTEL ESTADUAL has air-conditioned rooms with free WiFi. 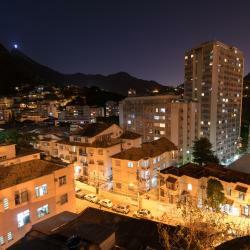 Located in Rio de Janeiro, within 1.1 miles of Municipal Theater and 1.2 miles of Selarón Steps, Hospedagem Joaquim Silva provides accommodations with free WiFi. 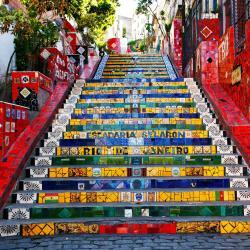 Hotel Cabo Finisterra is located in Rio de Janeiro, a 12-minute walk from Selarón Steps. 1.2 miles from Municipal Theater, the property is also 1.7 miles away from Modern Art Museum. 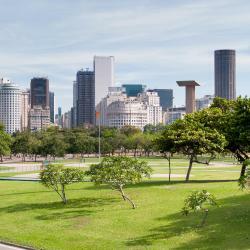 Parque Hotel is just 1476 feet from Sambodromo Marques da Sapucai, in Rio de Janeiro. It features air-conditioned rooms, a TV room with computers and buffet breakfast. Wi-Fi and parking are free. Hotel La Costa is located just 984 feet from lively bars in the Lapa district. It offers air-conditioned accommodations with room service and free Wi-Fi. Hotel Carioca is located in Rio de Janeiro's Lapa district. 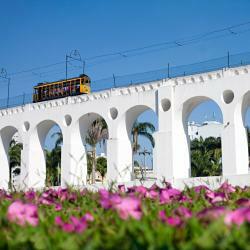 Arcos da Lapa Attraction is 1640 feet away. Free WiFi access is available. Just exceptional and great! 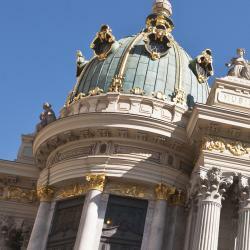 Very local, next to many city attractions! ( Lapa district).